Knowing how to introduce new music to your church is key to ensuring the assembly’s participation and maintaining the sanity of the music ministers in your community. A consequence of introducing too many new songs is that a faith community can become the jack-of-all-tunes and the master of none. Being in the Diocese of Nashville, I’m a big fan of the KISS rule: “Keep it Simple Stu… Silly.” This is especially important when introducing a new set of psalm tones, like OCP’s Spirit & Psalm. My parish utilizes a cantor for the responsorial psalm. Not only is this liturgically sound, as it draws from our faith’s Jewish roots, it frees up precious rehearsal time so that groups can prep for upcoming meditations, seasonal music and special celebrations. Our cantors rehearse the response melody and strophes independently. To help, OCP has created a five-CD set with recordings of the psalm and Gospel acclamation refrains as well as every verse for the entire Spirit & Psalm library. This simplifies the choir’s main task in relation to the responsorial: sing along with the response in unison initially and, optionally, add harmonies to the refrain after the second strophe. At rehearsal for an upcoming celebration, all our ensemble needs is a short run-through with the cantor. We try our best to remember that the responsorial is part of the Liturgy of the Word. For the congregation, it needs to be a pleasing musical experience that does not detract or distract from reading, reflecting, responding and resting in God. Look for the best of the best and ask, “will this serve our church?” Keep note of those new ones popping up multiple times in surrounding communities. It can be the sign of a keeper. The Liturgy of the Word is the thematic template for the day’s hymnody. Look for songs that reinforce the celebration’s readings and fill thematic gaps in the liturgical year. Repeat a new tune three weeks in a row, with the initial experience having liturgical relevance. This allows the significance of the song to resonate the following weeks. Take one week off and do it one more time the following week if the theme/season allows for it. Taking into account the number of weeks it takes to get a new song into the assembly’s bones, for my parish, a maximum of four new songs, apart from Psalm responses, is plenty in a year. This can seem tedious to us musicians, but remember that we sing and play songs twice as much (if not more) as the congregation. What may seem old hat to the musicians will still be sinking in with the community. 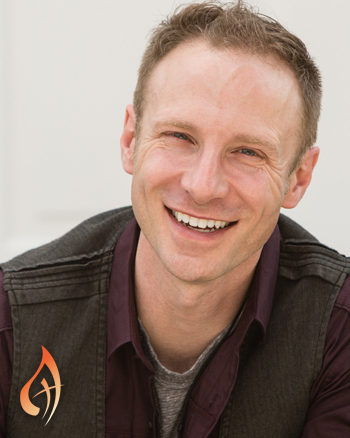 Greg Walton is a dynamic Catholic speaker and musician who integrates the sacred and secular as a means to evangelize youth, young adults and families.